BETHESDA, Md. & LOUISVILLE, Ky.
"Humana is pleased to expand the availability of value-based care in Louisiana, Pennsylvania, and West Virginia"
BETHESDA, Md. & LOUISVILLE, Ky.--(BUSINESS WIRE)--Aledade, Inc. and leading health and well-being company Humana Inc. (NYSE: HUM) today announced a value-based care agreement to broaden the availability of coordinated, quality care for Humana Medicare Advantage members in three states. Through this agreement, physicians in Aledade’s Accountable Care Organizations (ACOs) in Louisiana, Pennsylvania, and West Virginia who currently participate in Humana’s Medicare Advantage network are able to utilize tools and resources from both organizations to help deliver value-based care to Humana Medicare Advantage members. Aledade partners with independent primary care practices to build and lead ACOs that participate in a variety of value-based care arrangements. These ACOs focus on delivering preventive care, reducing unnecessary or repetitive care, and better coordinating patient care. Aledade supports physicians with a comprehensive range of capabilities that include cutting-edge data analytics; user-friendly care management; patient outreach tools and regulatory expertise; and local, hands-on support. Humana has an extensive and growing value-based care presence. As of Dec. 31, 2018, Humana has more than two million individual Medicare Advantage members and approximately 115,000 commercial members who are cared for by more than 53,000 primary care physicians in more than 1,000 value-based relationships across 43 states and Puerto Rico. Humana’s total Medicare Advantage membership is approximately 3.6 million members, which includes members affiliated with providers in value-based and standard Medicare Advantage settings. For more information, visit humana.com/provider/support/vbc. Humana is a Medicare Advantage HMO, PPO and PFFS organization with a Medicare contract. 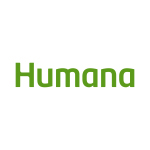 Enrollment in any Humana plan depends on contract renewal. Other providers are available in our network. The provider may also contract with other Plans.